How To Start an Online Store For Free? Starting an online store is an excellent idea if you want to make money online. It can, however, seem a little intimidating if you have never done it before. Today, we’ll show you how to start an online store without spending a dime. So grab your coffee and let’s get started! All of this will take you less than an afternoon to complete. You will have your store up and running in no time. Let’s take care of business, shall we? To run a successful online business, you will need to get a domain name and web hosting. A web hosting provider is like your landlord – they rent out server space for your website. Getting this service is necessary to have a fully-functional site. Want to know the best part? Here at 000webhost.com, you can host your website for free. All you need to do is register, and you can start building your site — completely free of charge. With the free plan, you will get 10GB of bandwidth, free hosting, 1-click WordPress setup, a custom control panel, a free subdomain, and many more awesome features. Choose the free plan and create an account. After this, you will be able to access your control panel and start building your website. Don’t forget to verify your email! Now, if you need more bandwidth, email services, and overall more functionality, you can always upgrade to our paid services, which we offer at a very affordable price. So if you need more power, but don’t want to break the bank – you came to the right place. The next step is getting a domain. Usually, your domain name is the same as your business’. However, sometimes it can already be taken. To help you in a situation like this, you can use domain name generators. Unfortunately, a domain name doesn’t come with our free hosting services. 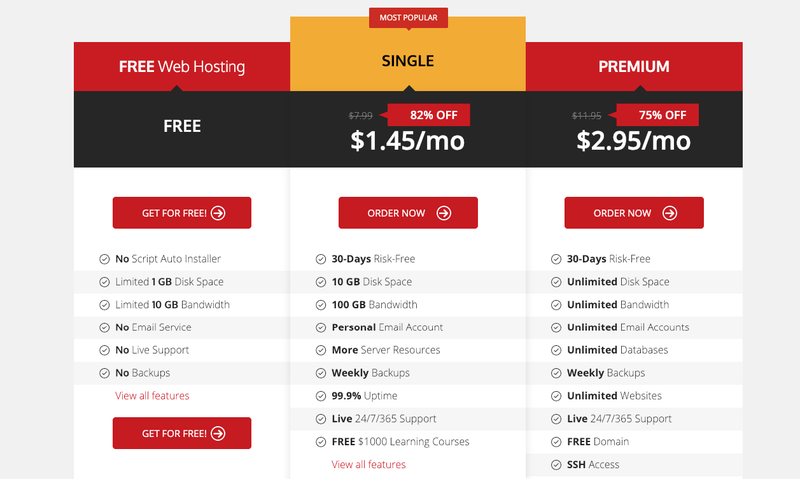 You can either buy a domain at Hostinger.com or purchase a 12-month Premium hosting plan and get it for free. In addition, you’ll get unlimited disk space and bandwidth, custom email accounts, weekly backups, SSH access, 24/7 live support, and many more great features. And it’s only $2.95/mo! There are many great e-commerce platforms to help you build an online store. Alternatively, there are website design services such as Wix or Weebly. But personally, we recommend going with the time tested option and use WordPress. WordPress is an easy to manage CMS (content management system), that is entirely free and open source. 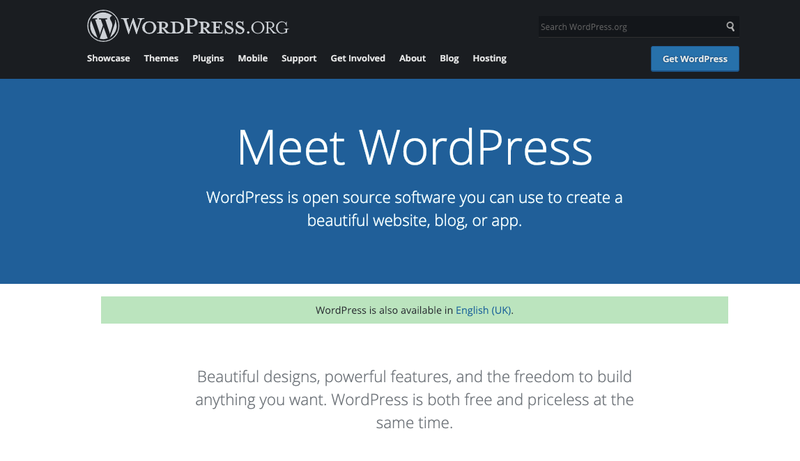 With WordPress, you will be able to create powerful, highly-responsive websites. Technically, it is not a website builder, but with the number of features it offers, you can make a site of any kind. Setting up and using WordPress is very beginner friendly so you won’t run into stressful issues. Also, WordPress provides you with more control over your website compared to other tools. So regardless of what website you need to set up, using WordPress is always a safe, fool-proof choice to go for. 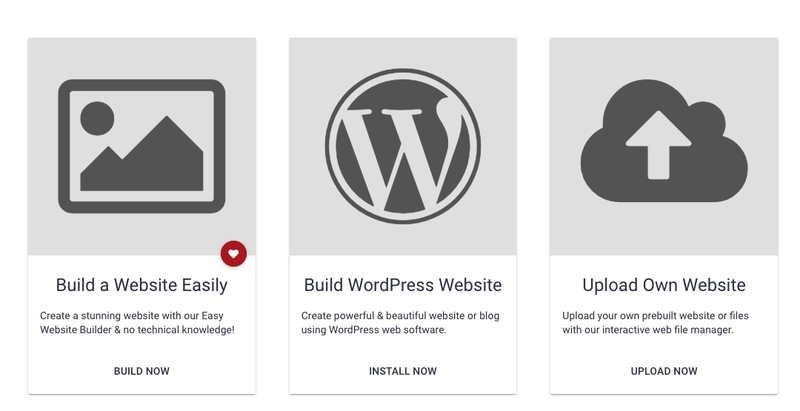 Setting up WordPress is super easy. To install it, you have two options. 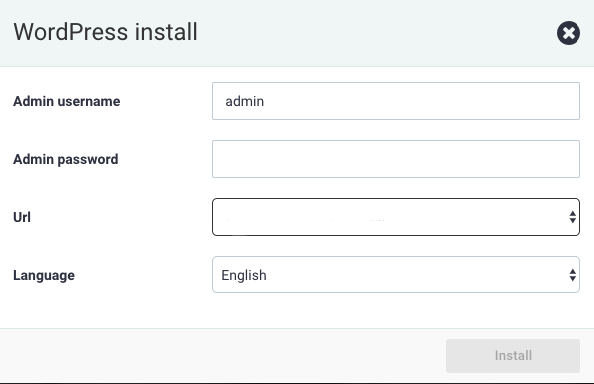 You can either use the manual five minute WordPress installer or take the following steps to auto install it with 000webhost.com. 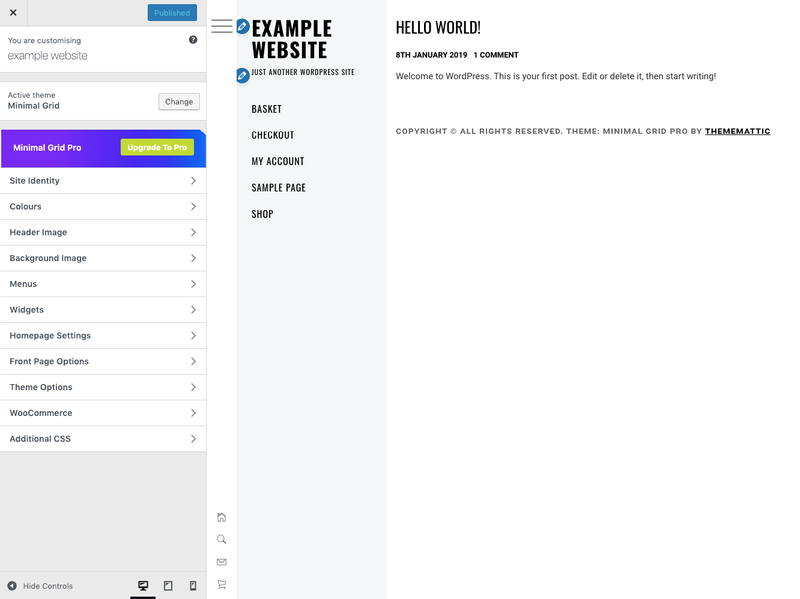 This will direct you to the login page, where you can enter your admin details and reach your WordPress dashboard. After you set WordPress up, on your dashboard go to Settings -> General to set up your title and description. When you’re done with the initial WordPress setup, you can start building your online store. 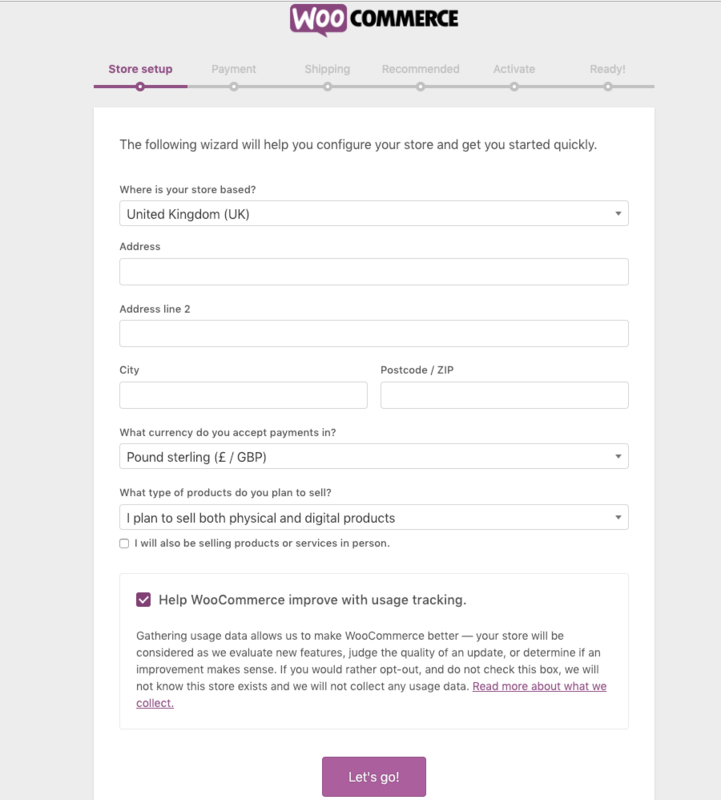 When it comes to setting up an online store, the WooCommerce plugin is one of the most popular choices. It is a simple to use tool, that turns your website into a powerful, highly-responsive online shop. 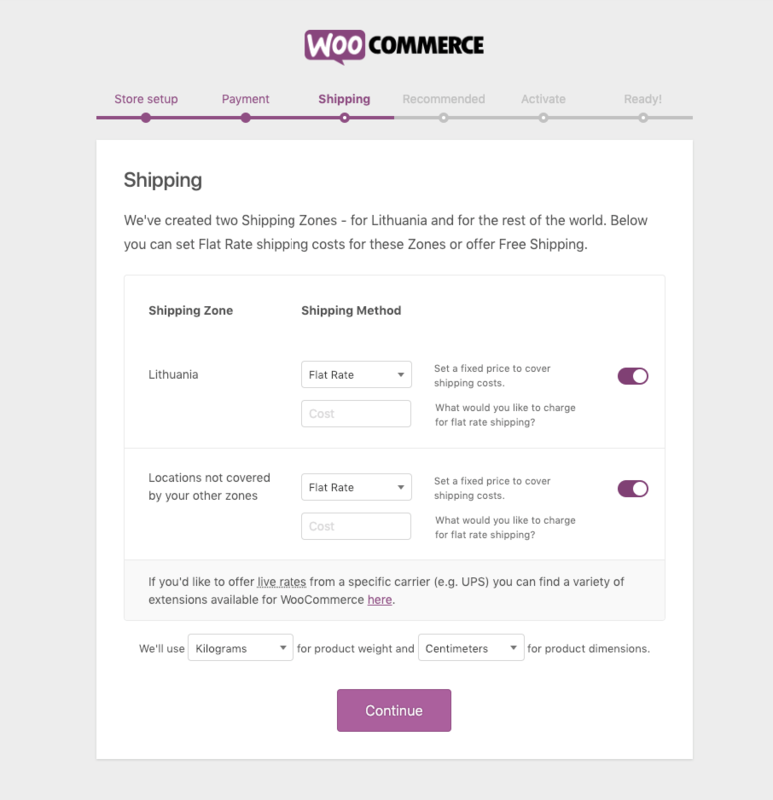 WooCommerce, just like WordPress, is entirely free. It is a perfect solution for someone on a budget. And even if you are willing to spend big bucks on setting up your online store, better spend it elsewhere. WooCommerce is a fantastic plugin that you will not be disappointed with. Why spend money on something, that you can get for free? The setup wizard will pop up. Fill in your address, choose your currency, and what kind of products you’ll be selling. Next, you will select the preferred payment method. WooCommerce offers you to use PayPal by default. If you wish to use a different approach, you can add it in later. Set up your shipping options. You have to enter the shipping prices, choose your shipping location, etc. WooCommerce will offer to install a plugin for your taxes, and a mail management plugin. For now, you can skip this step. The last step is to create or import products. 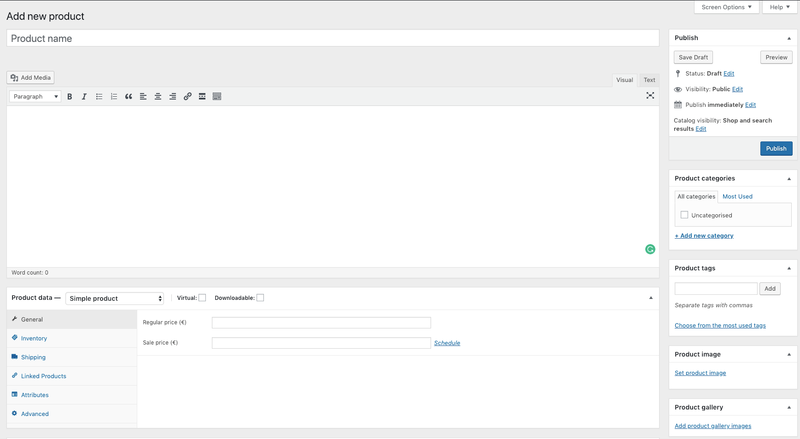 Since you can manage your products from your dashboard, you don’t have to add anything while setting up. 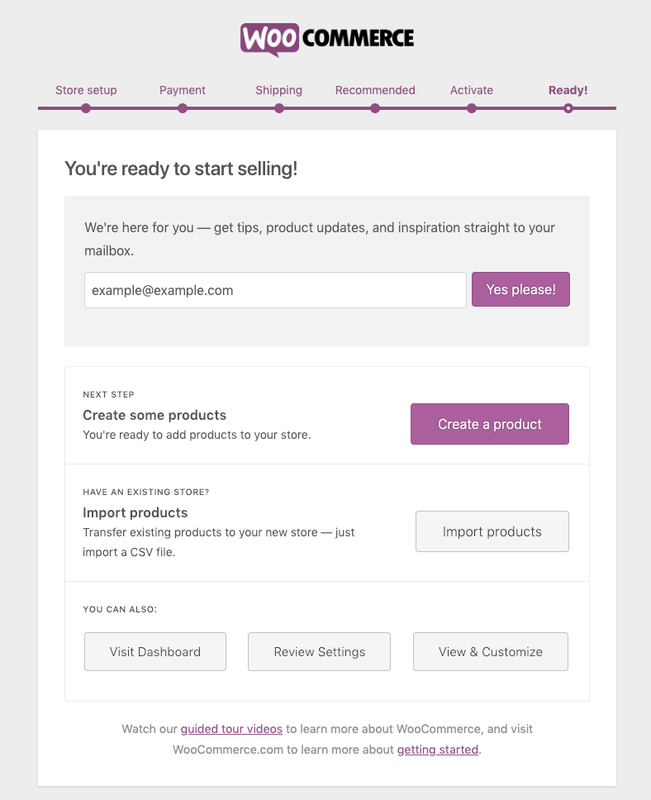 Now, that you have the WooCommerce plugin set up, you need to add products to sell. After all, that is our primary goal. To add new products, on the left side of your dashboard, go to Products -> Add new. Adding products with WooCommerce is very simple as adding content to your blog or website. You have all the needed functions: adding the name, a description, a photo gallery, prices, tags, and categories. Always use good quality images, that clearly show your product. Your products will be available on your page as soon as you publish all the information. To make sure that your online store looks great and reflects your personal style, you need to pick out, install and customize a theme. Picking a website theme is a crucial task. You want to find a website layout that both reflects your vision and functions well. So take your time before making this decision. 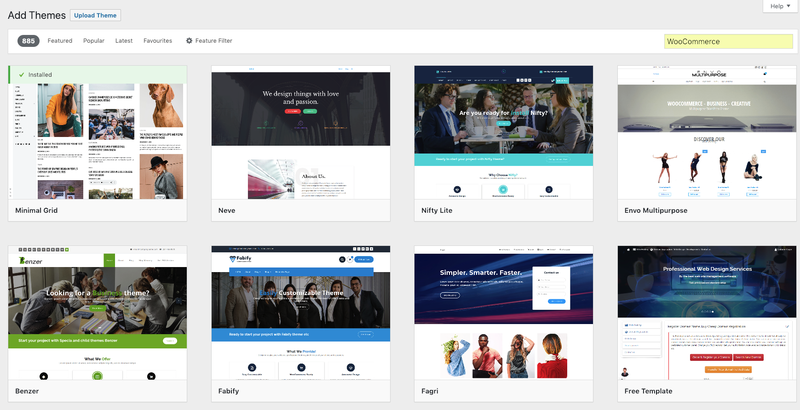 WordPress has thousands of highly-responsive themes. You can find them both in the WordPress Theme Directory, or you can search third-party sites. When picking out a theme, make sure it is compatible with the WooCommerce Plugin. This won’t be a difficult task, as the plugin is widely used and works well with most themes. Some themes are designed specifically for WooCommerce powered online stores. So if you don’t want to risk running into any problems, you can specifically search for WooCommerce themes. For the sake of this tutorial, let’s discuss how to install a theme from the WordPress theme directory. After these steps, your picked theme will be up and running on your site. Keep in mind, that you can further customize it to fit your needs. On the left side of the screen, you will see all the customization options. You can change all the colors on your website, modify featured and header images, edit your fonts, widgets, etc. Once you are happy with all the edits you made, just click Publish. All of your edits will be saved and visible on your store. WordPress wouldn’t be as popular or powerful if it weren’t for plugins. These pre-made pieces of code are very convenient when it comes to managing your website. Plugins allow you to add various features to your website, in order to maximize its functionality. There are thousands of great plugins, that will help you run your online store successfully. Here are the best plugins you should get, to help your store run smoothly. Yoast SEO is not only one of the most popular SEO plugins, but it is also one of the most popular plugins in general. It is a reliable tool to help your website rank well on search engines. The plugin scans your content and gives you helpful pointers on where to improve. No fuss, no muss. 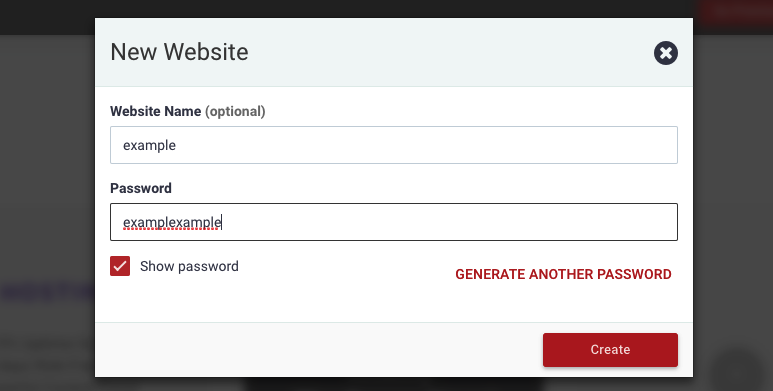 This plugin lets you quickly set up a contact form. It is a simple, yet critical task since you want to be available for your customers. WPForms has a handy drag and drop function, that will help set up your contact forms without any stress. Having a professional looking checkout page is super important for your overall user experience. Ecwid lets you create simple checkout pages, that have all the features you need. Having a well set up FAQ section is helpful both for your customers and you. Firstly, it helps your customers get familiar with your store. Secondly, it can take a lot of pressure away from answering repetitive questions. This plugin will help you set up the perfect FAQ section. MonsterInsights lets you connect with Google Analytics. Tracking your analytics is essential if you want to make money online and perform well. This plugin is free, but if you want some advanced features, you will have to purchase the premium plan. One thing to keep in mind when launching an online product is that your work should consist of 20% content creation and 80% promotion. The online market is highly competitive, so to make your first sale and become successful, you need to build a strong brand and a quality marketing campaign. Here are some tips on how to create a strong marketing campaign, to help you grow your business. If you are serious about building your brand and making money online, you need to plan out your marketing strategy seriously. There are quite a few ways to go, so do your market research. You need to know your niche and your audience to create a successful long term strategy. While some ways will promote your business for free, some options will cost you. Depending on your budget, explore all possible advertising choices. The most important thing to do is to plan out all of your marketing steps. Spending time on strategies that are poorly planned is a waste of resources. Here are two cheap and easy options for you to consider. Social media is one of the best ways to promote your products, grow brand awareness, and send traffic to your store. Instagram, Facebook, Pinterest, and Twitter are the best platforms to utilize, regardless of what you’re selling. Social media is a cheap and easy to manage marketing option. It does require dedication and planning, but once you get the hang of it, you will do just fine. One thing to keep in mind, that social media users respond best to high-quality visual content, so this should be your primary goal. Overall, utilizing social media should be on top of your to-do list. 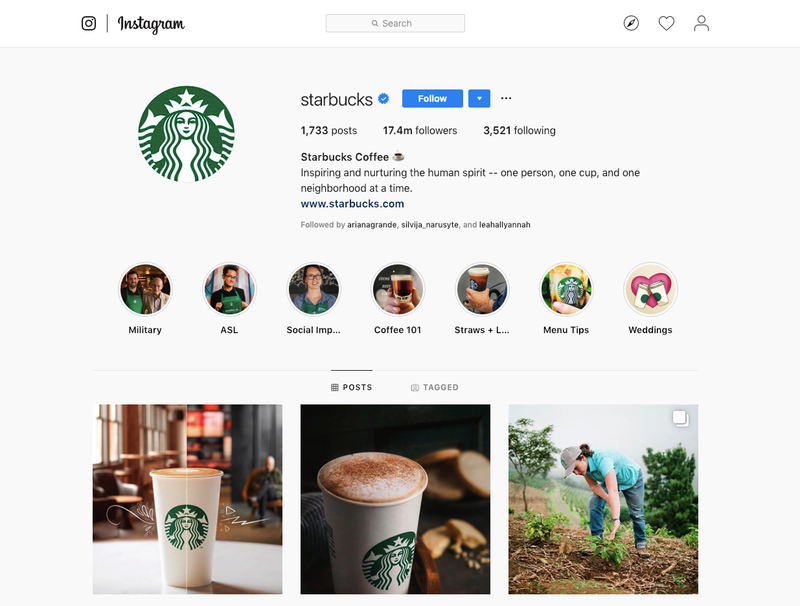 There are plenty of brands that market their products exclusively on Instagram and make big bucks form it. One of the easiest ways to reach a wide audience is by collaborating with influencers. Depending on what you sell, you need to find people with a big following, that could promote your store. 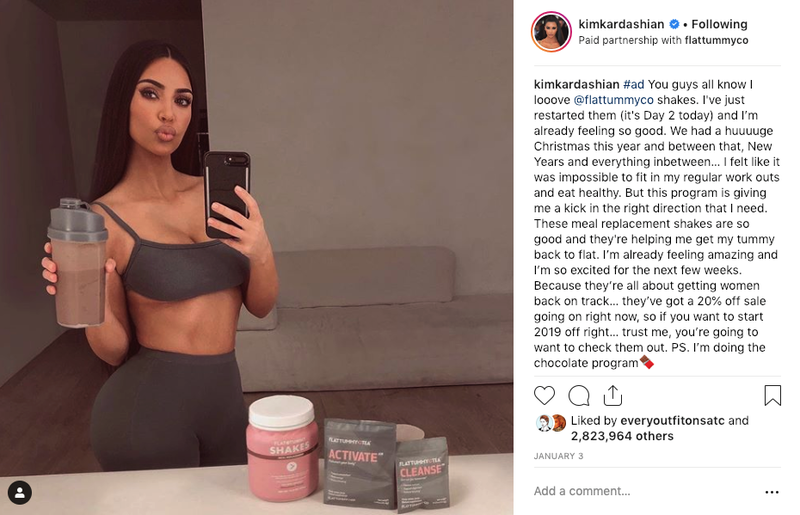 You’ve probably seen celebrities like Kim Kardashian promoting vitamins, weight loss supplements and so on. You don’t have to aim for a huge online persona as Kim K. There are influencers with much smaller followings base that will do the trick. Reach out to the people of your choice and offer them a collaboration. Some people will agree to try and promote your products for free, some you will have to pay. Influencers who live off sponsored content will most likely be more expensive but will have a bigger audience. Starting an online store might seem like a big step. While it takes some dedication, it really isn’t that scary. Hopefully, now you feel more confident in your abilities to launch an e-commerce website. The internet has made it easy to start your business online. Creating a site with WordPress and utilizing tools like WooCommerce will help you launch and manage a successful online shop.